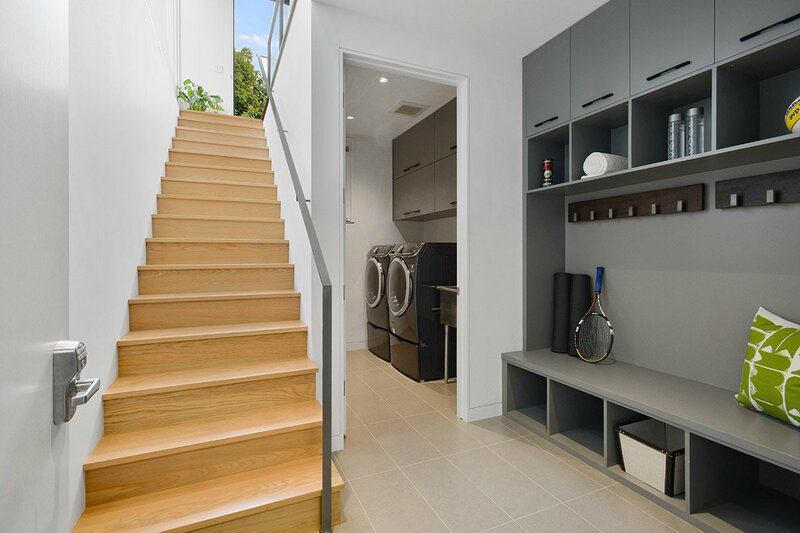 The multi-level open floor plan of this beautifully rebuilt and reimagined three bedroom/two bathroom home offers the ultimate indoor/outdoor living experience surrounded by panoramic city views.Illuminated with an abundance of natural light throughout, the main level of this luxuriously modern home includes an office space and bedroom at the front of the home. 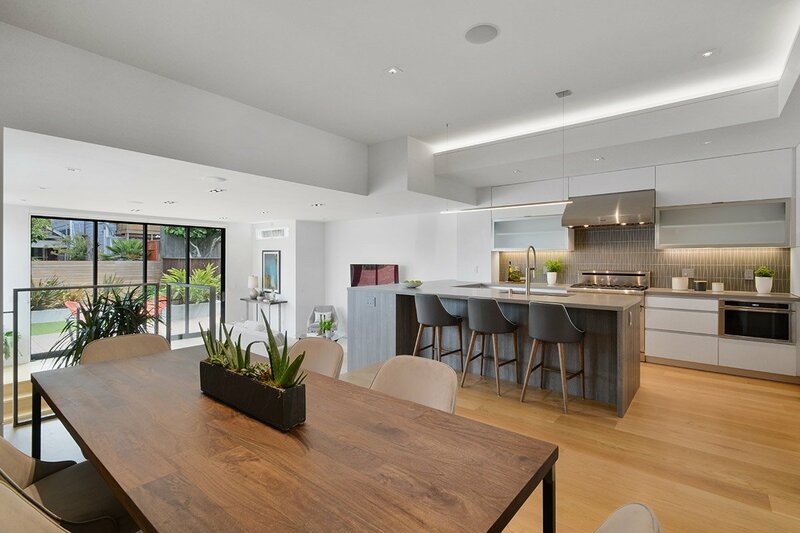 The back of the home features an expansive open space with a high-end chef’s kitchen and large dining area that steps down into the great room with floor-to-ceiling sliding glass doors that open into an artfully landscaped backyard. 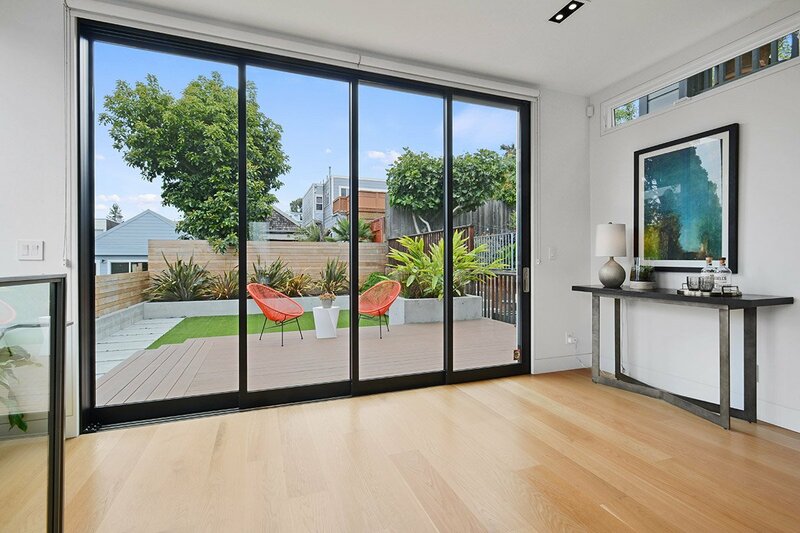 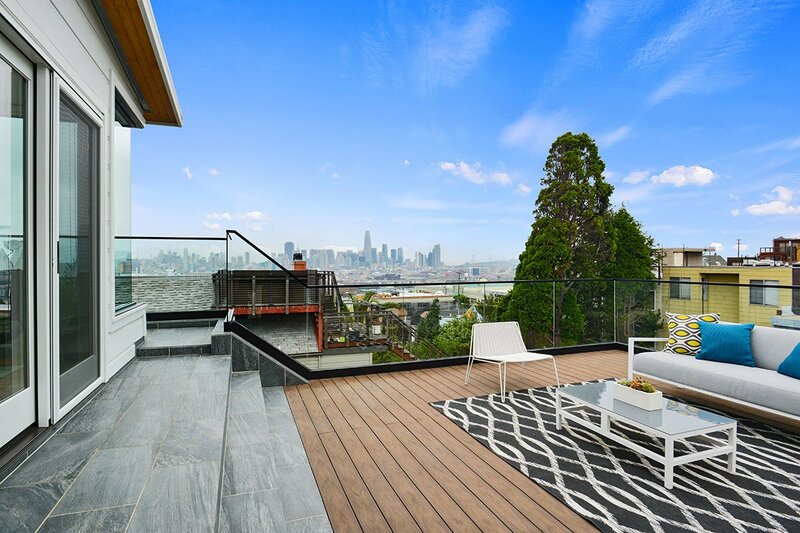 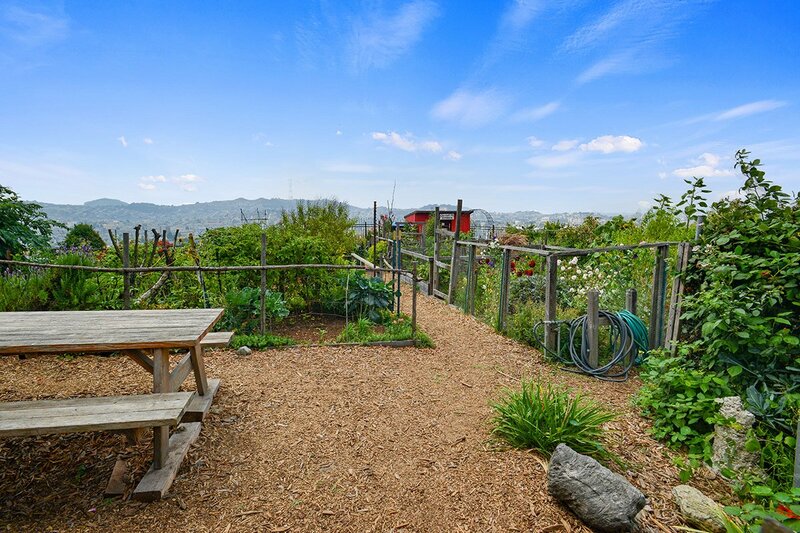 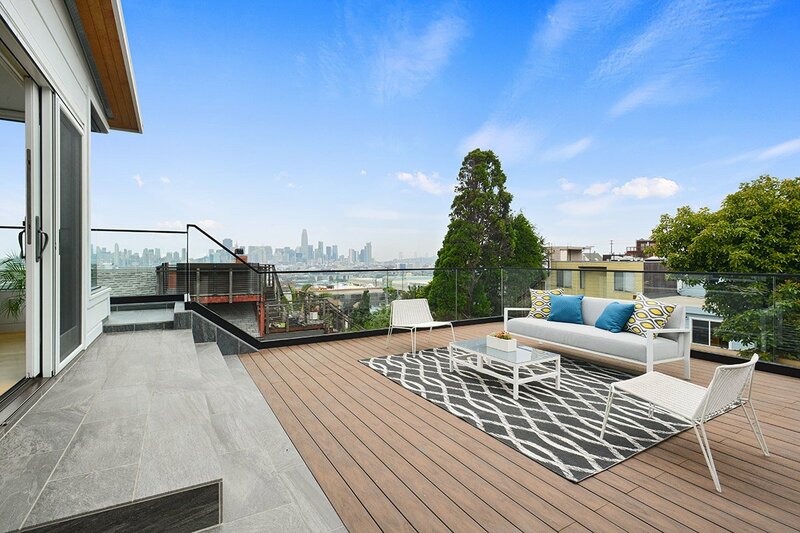 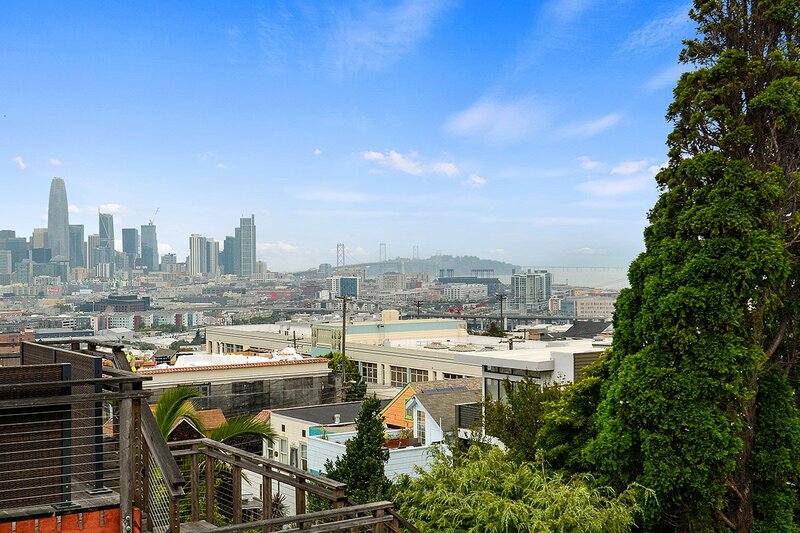 This large outdoor space on the first floor includes a deck and small grass area set against breathtaking city views, while the top floor of this green home features two large bedrooms, one opening to a deck overlooking the backyard sharing the same picturesque views. 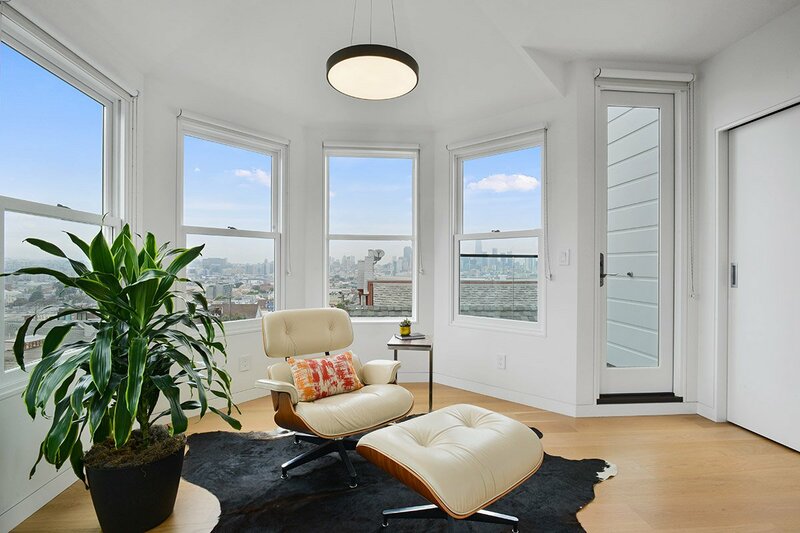 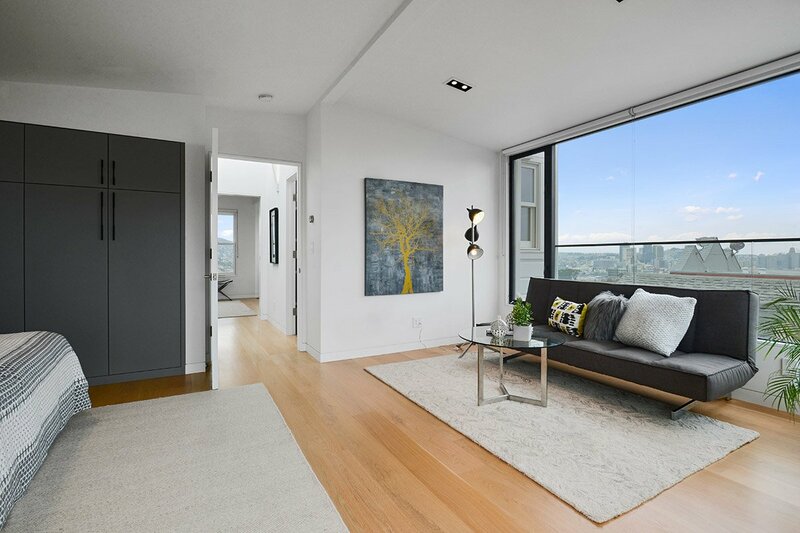 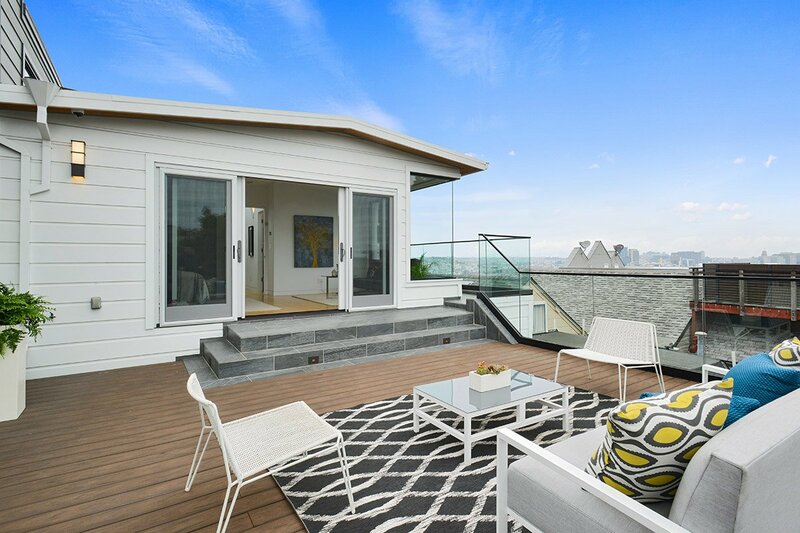 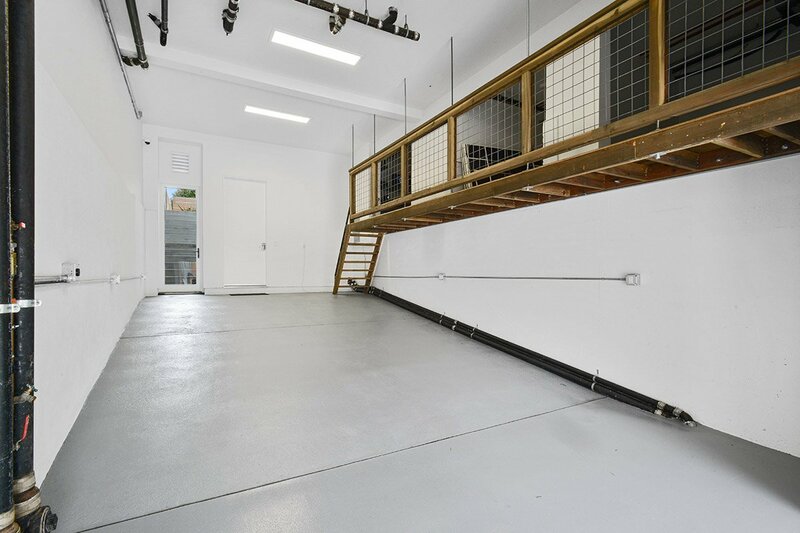 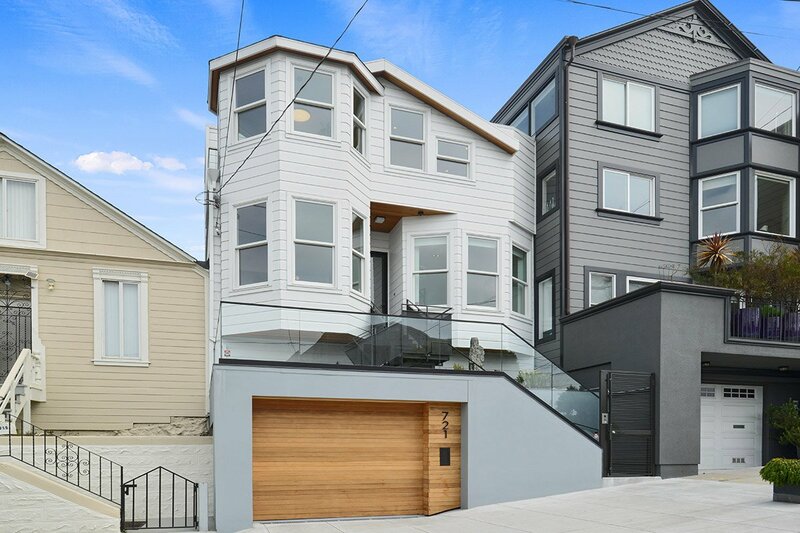 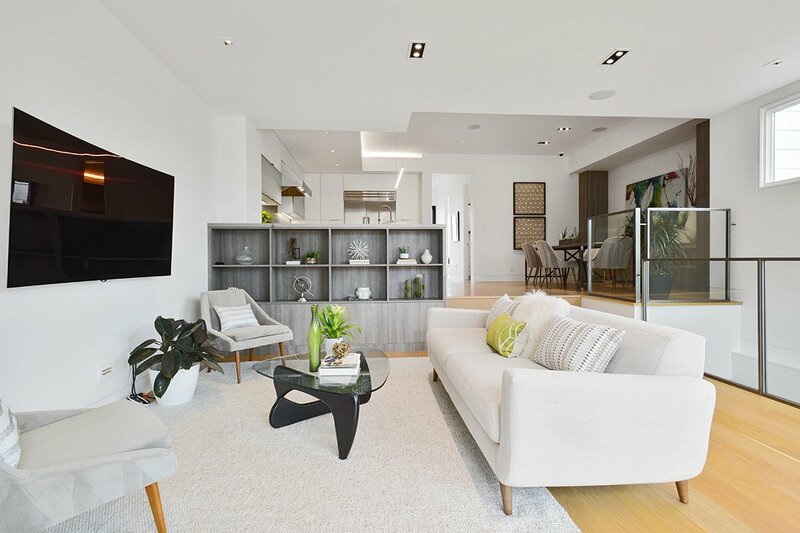 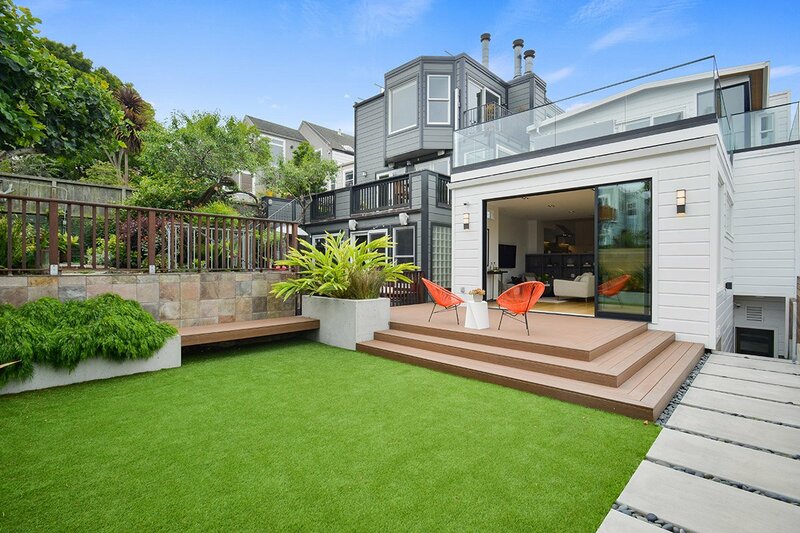 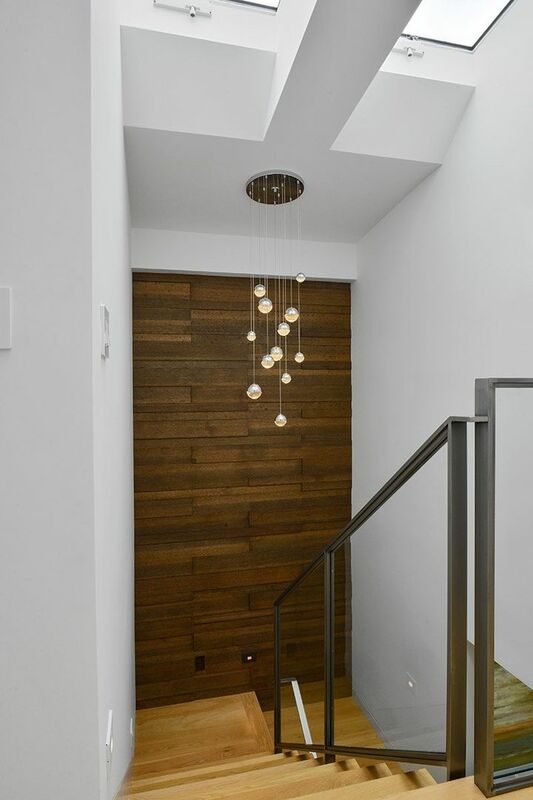 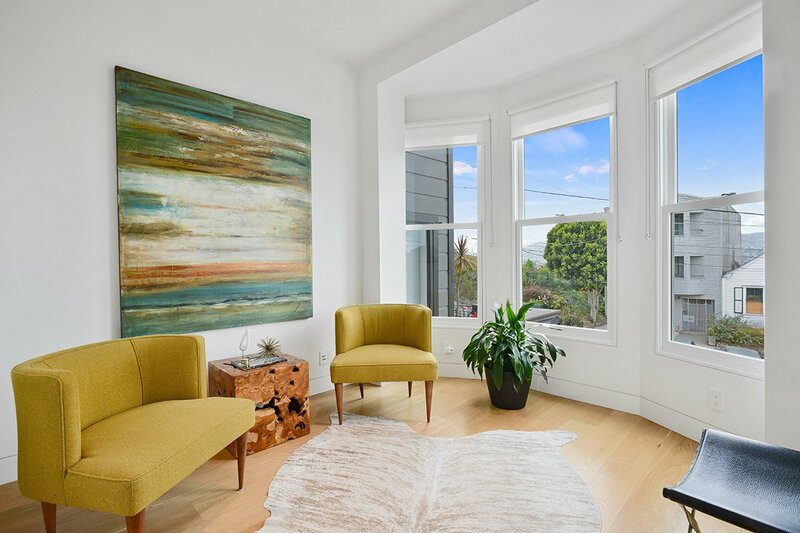 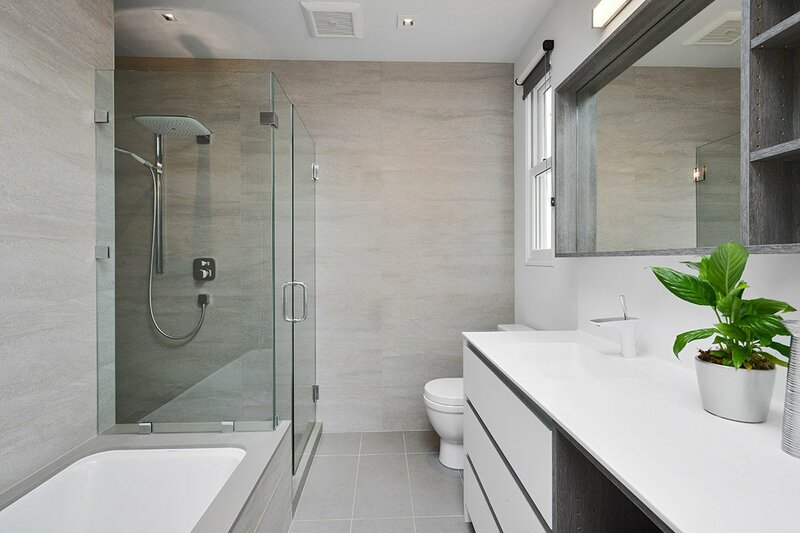 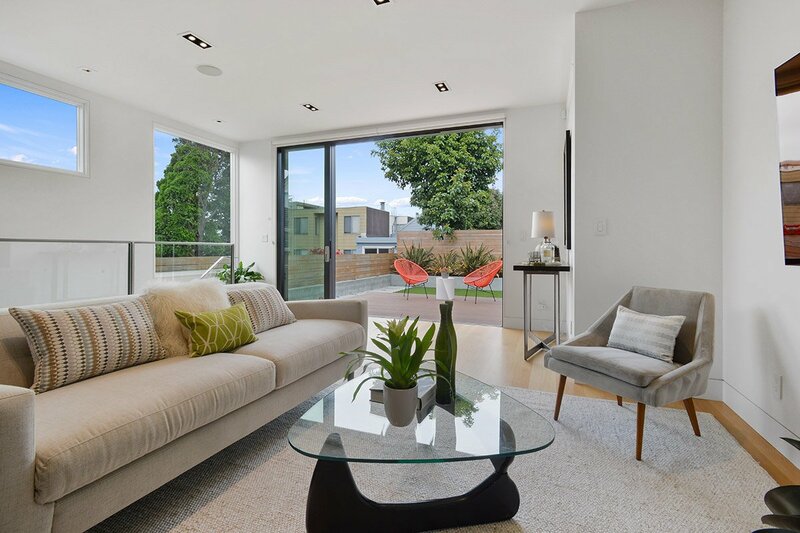 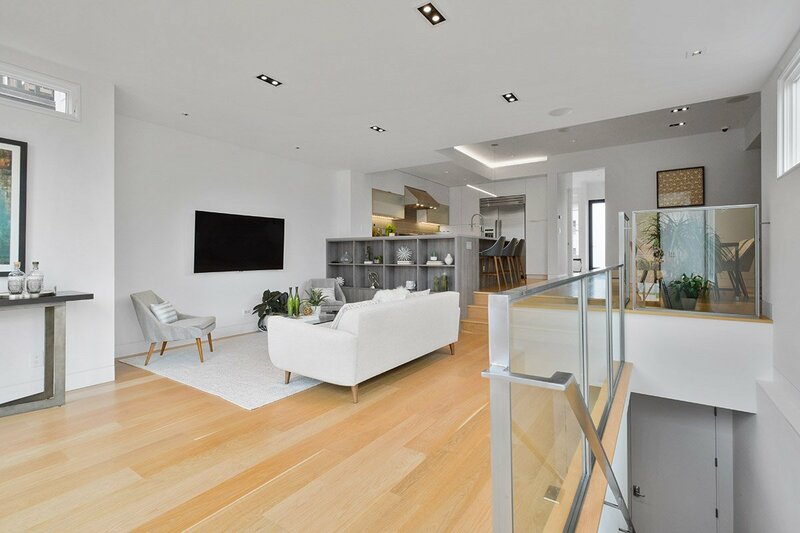 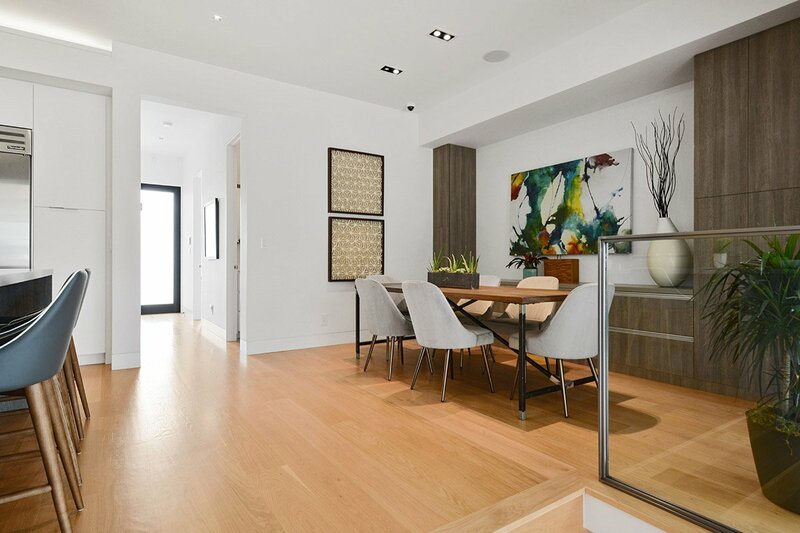 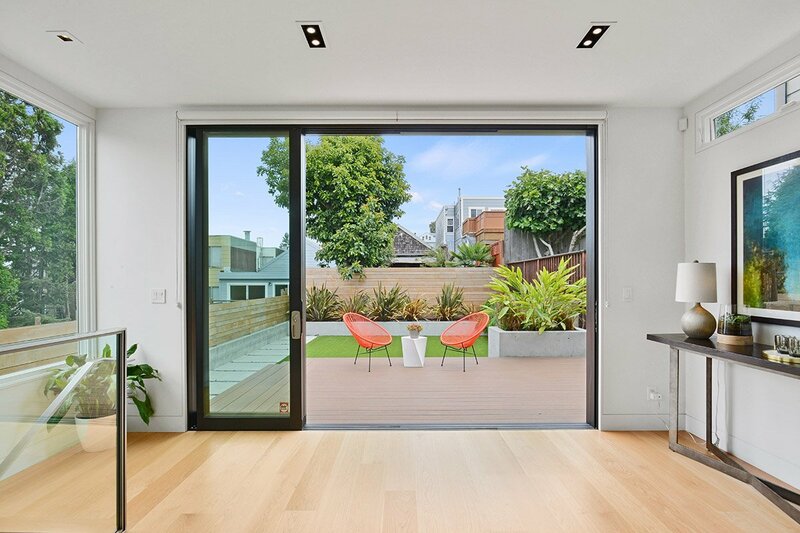 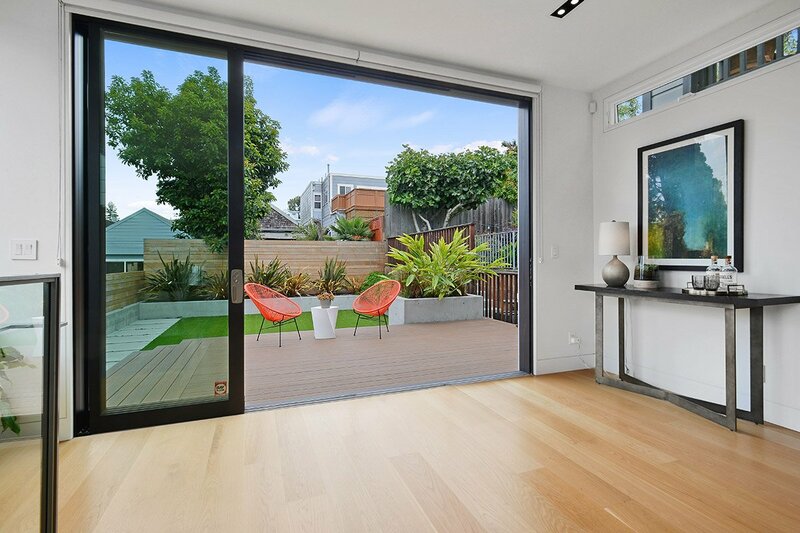 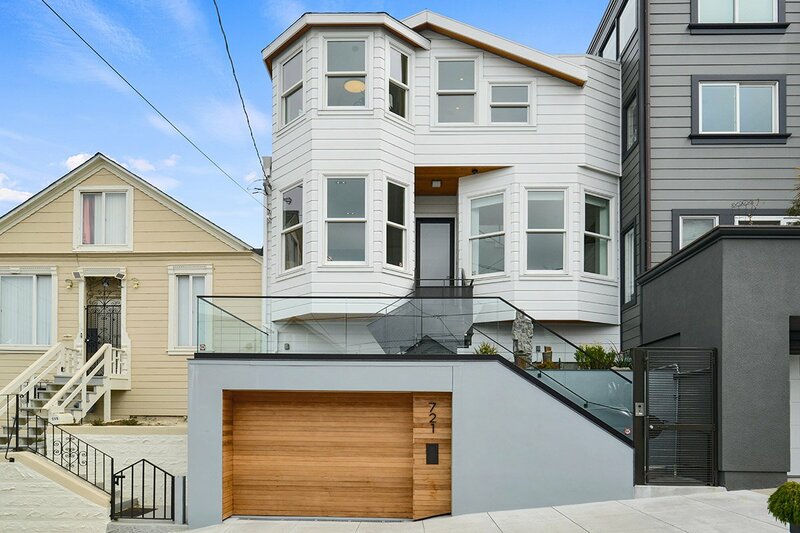 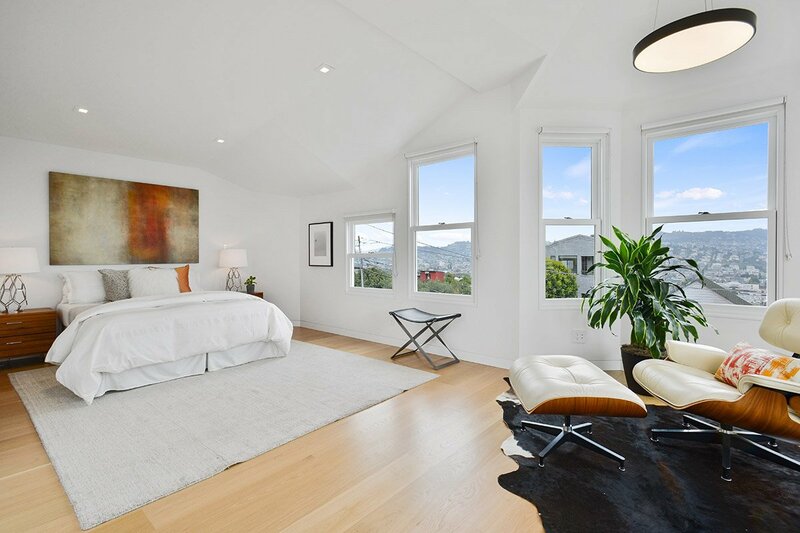 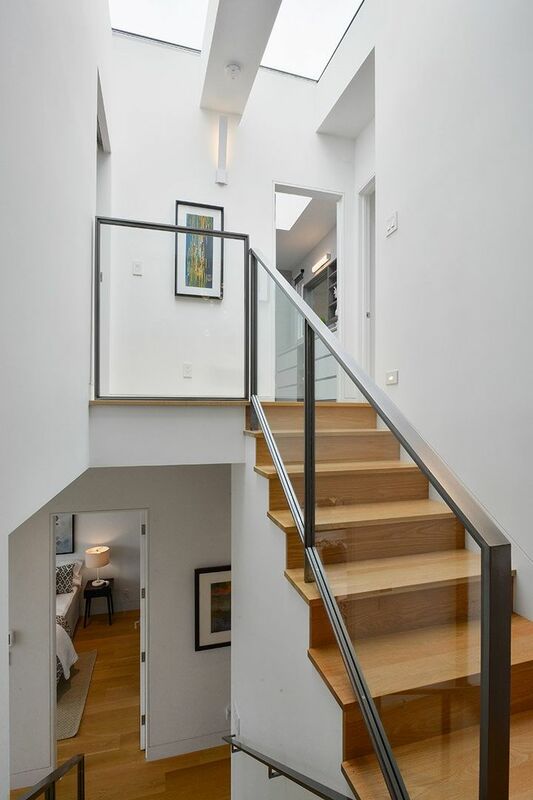 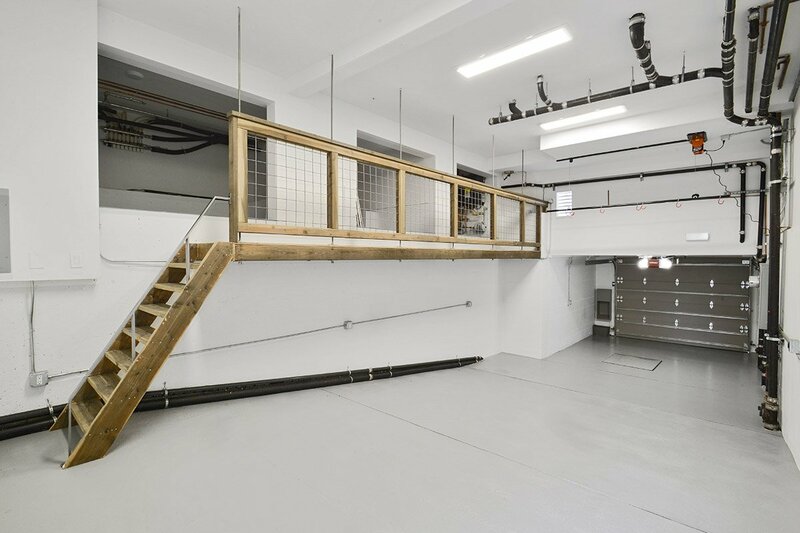 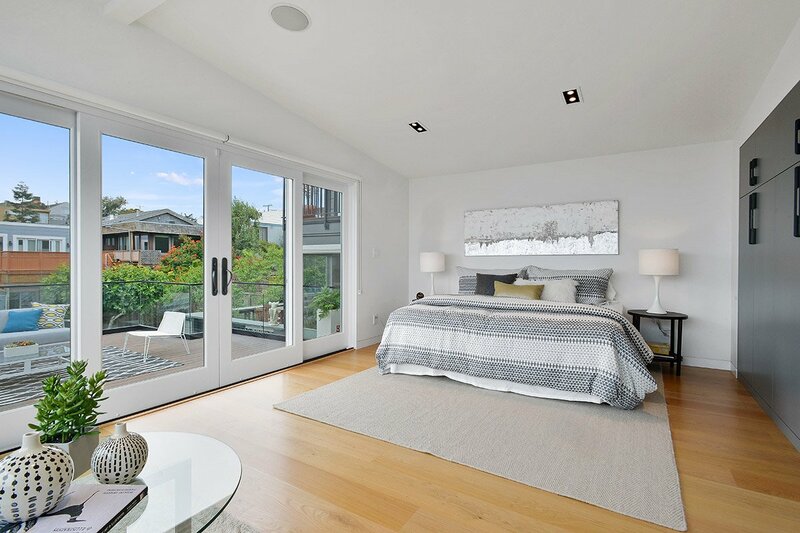 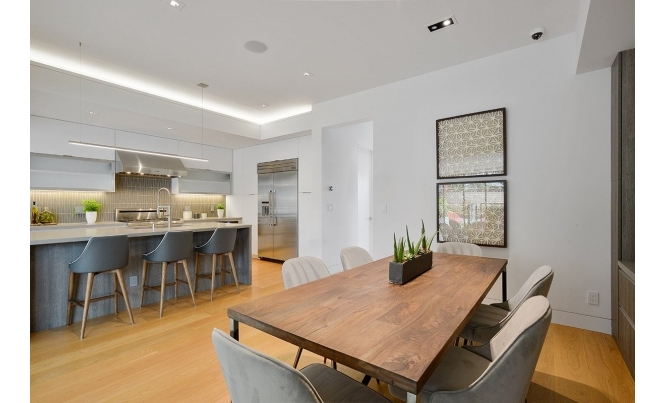 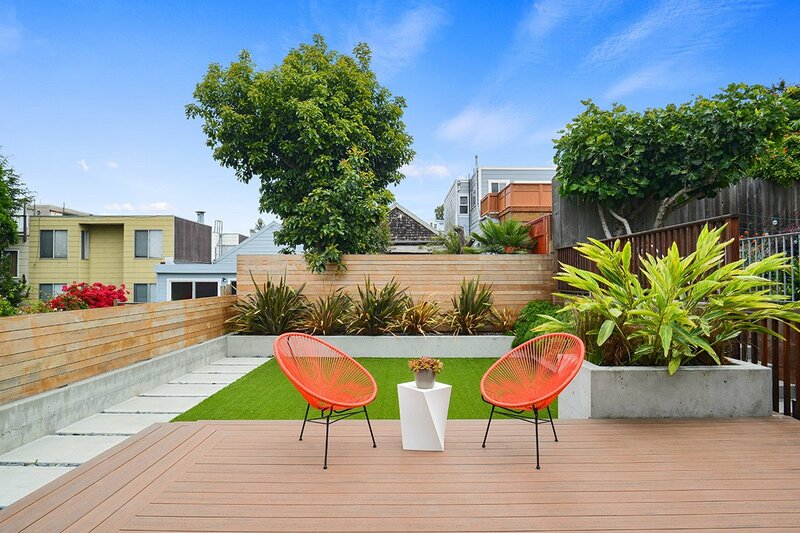 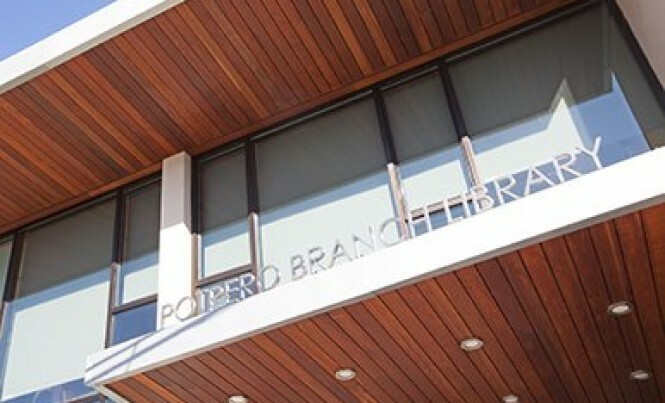 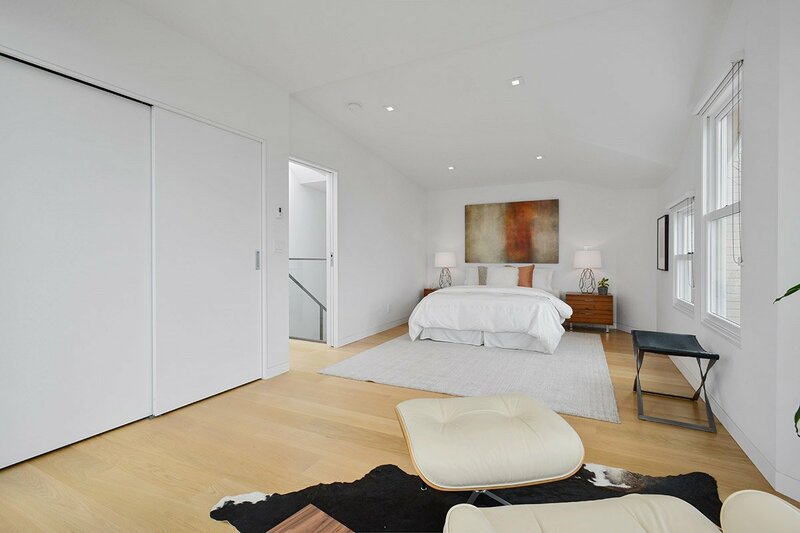 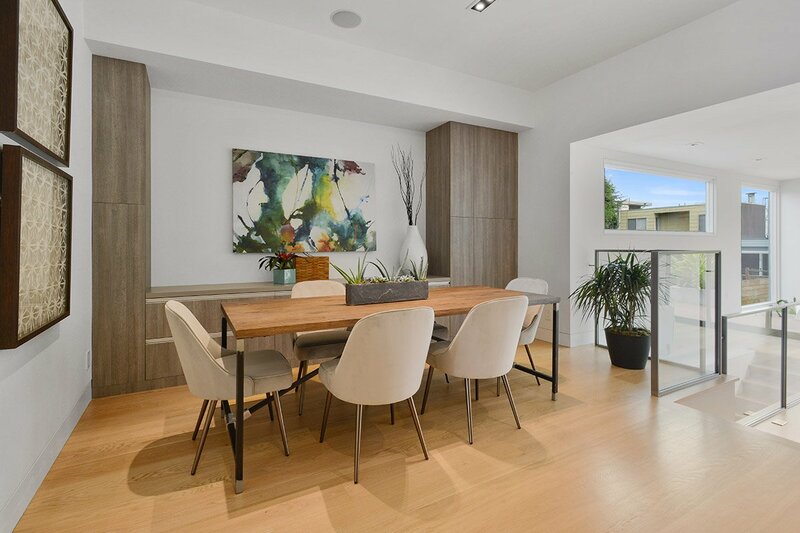 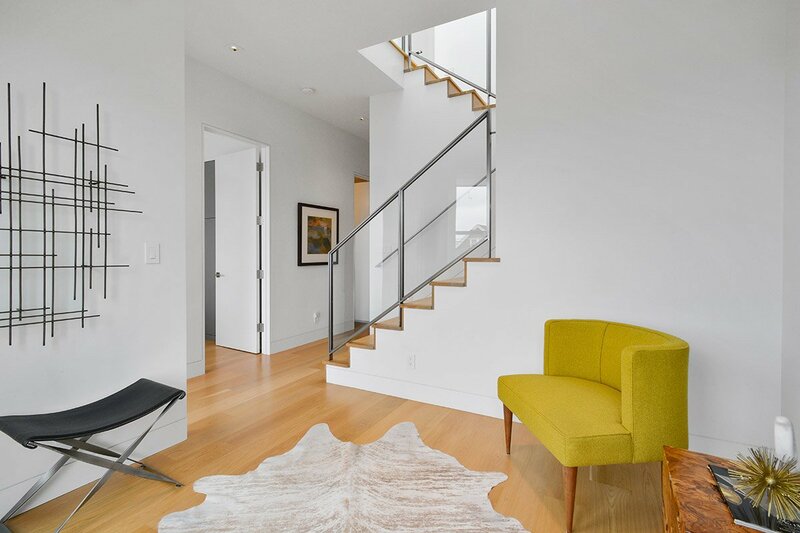 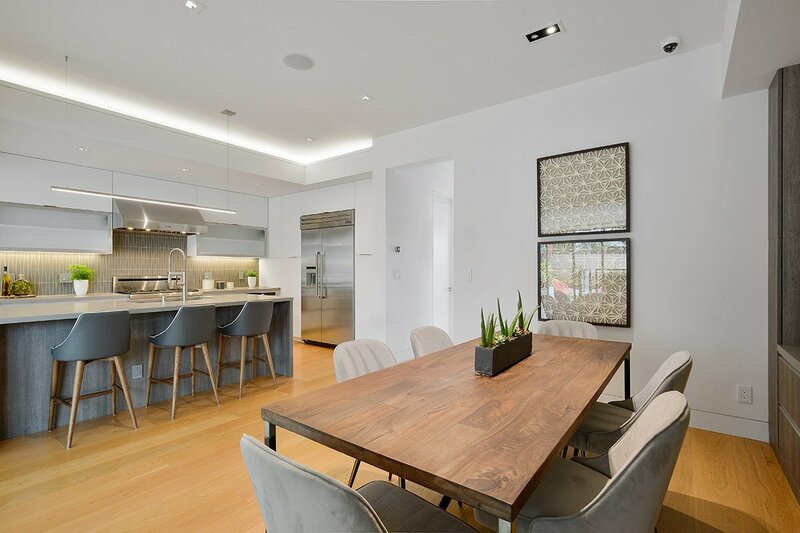 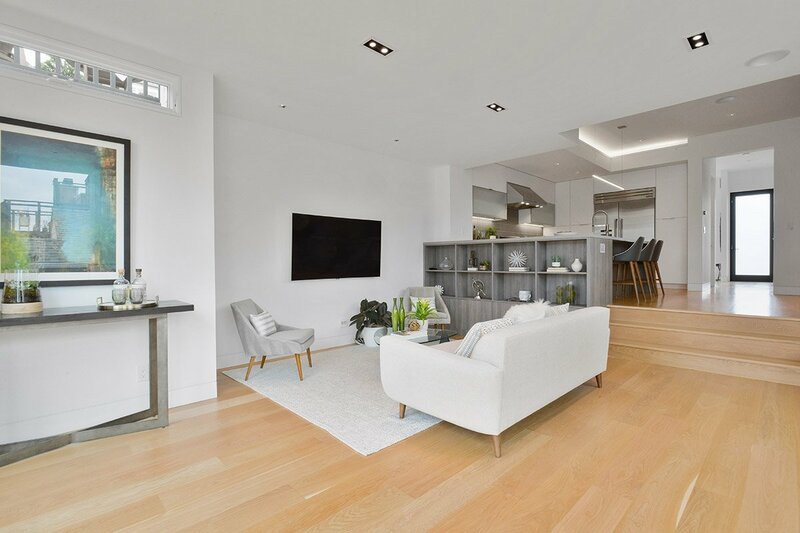 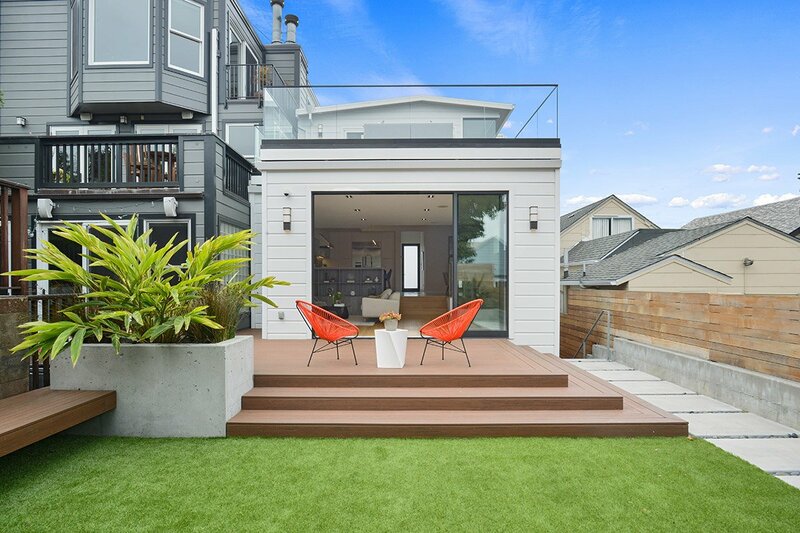 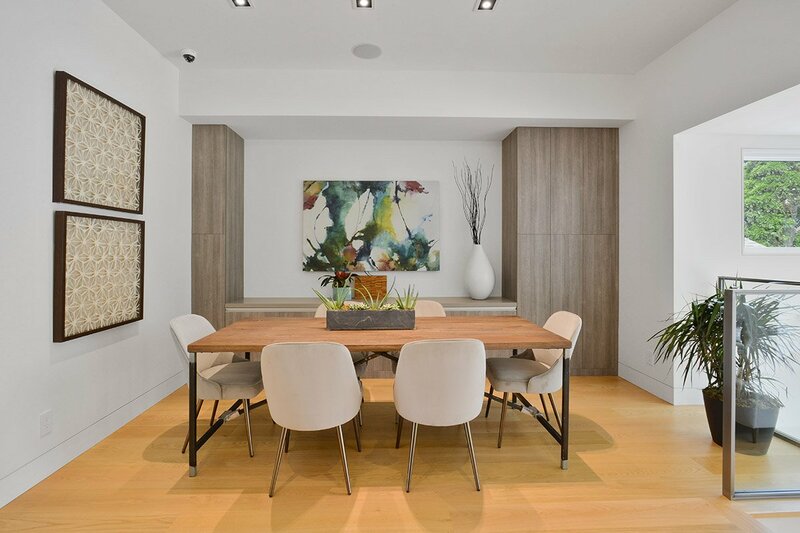 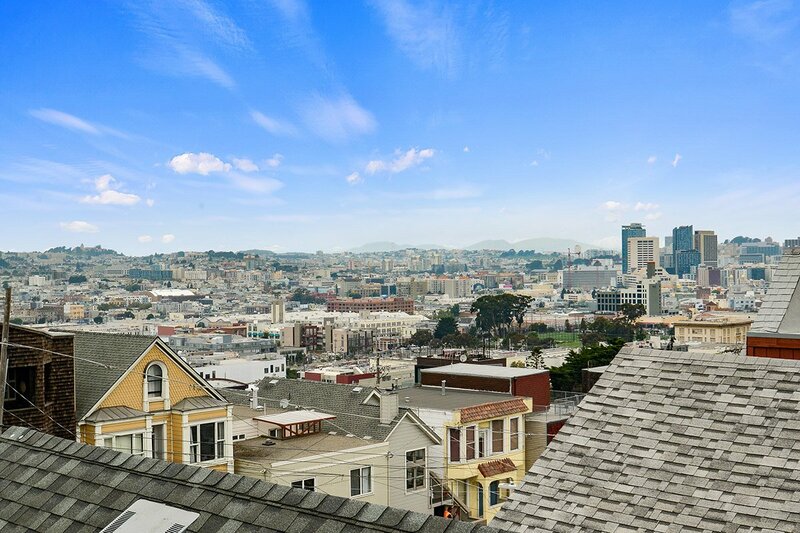 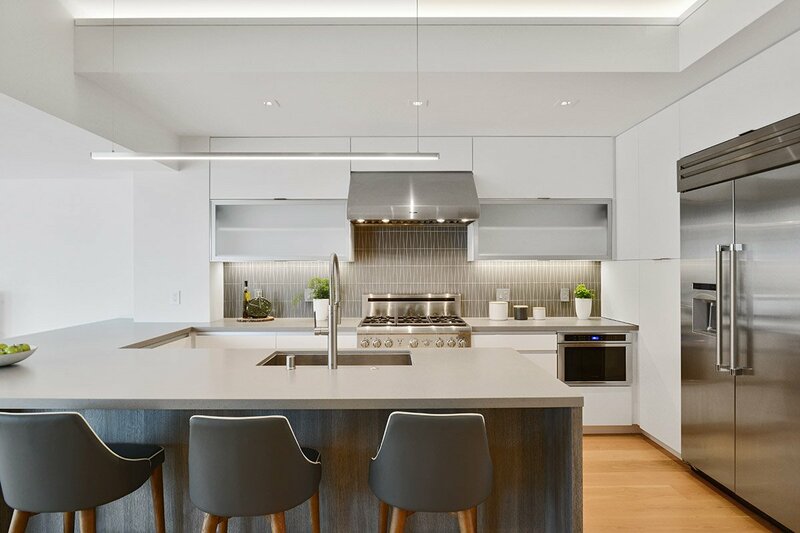 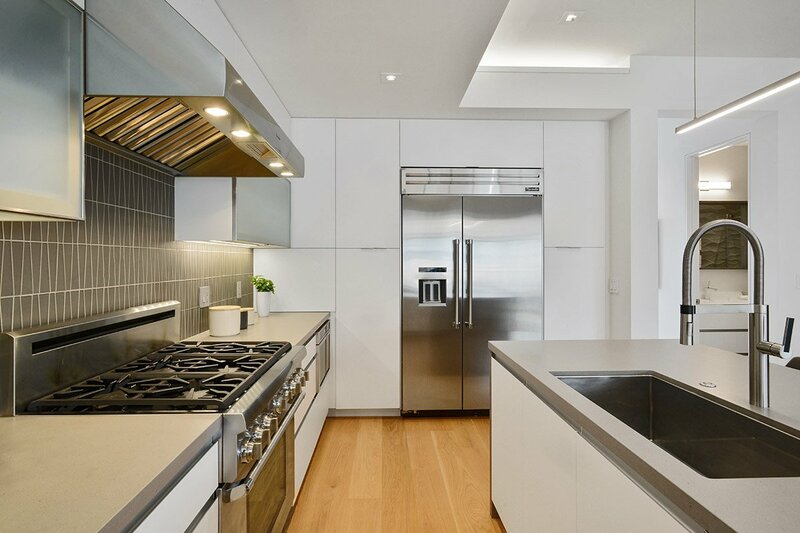 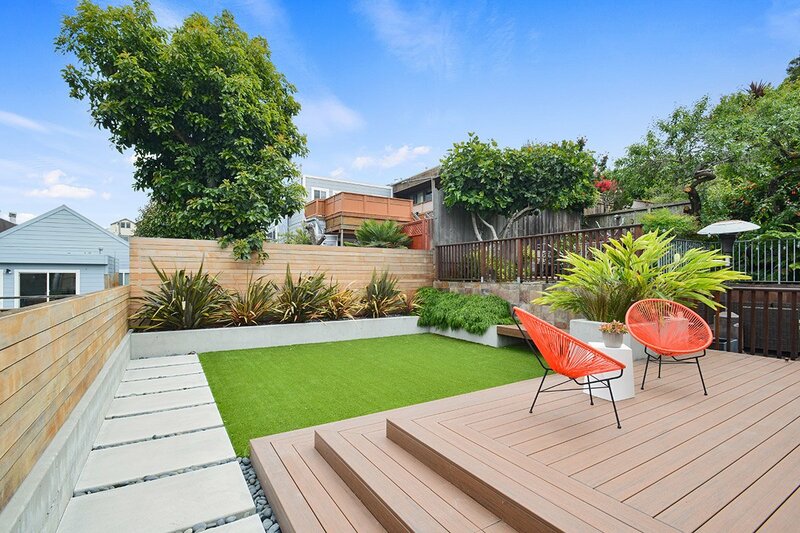 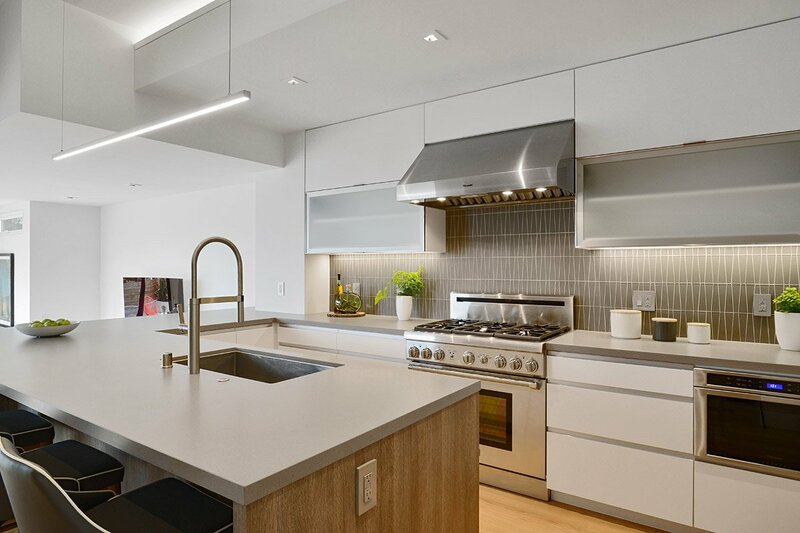 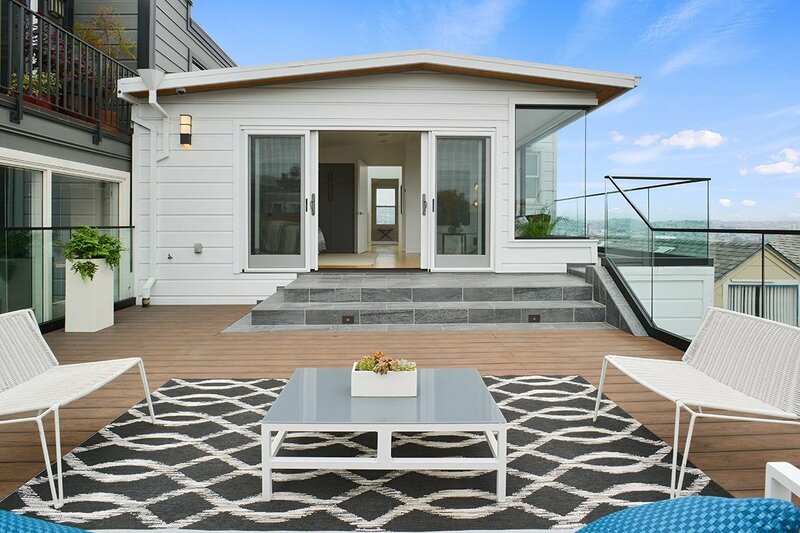 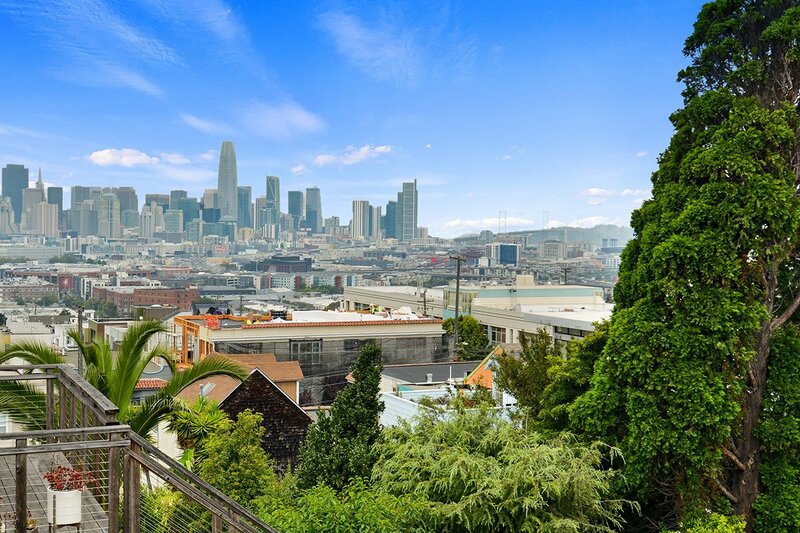 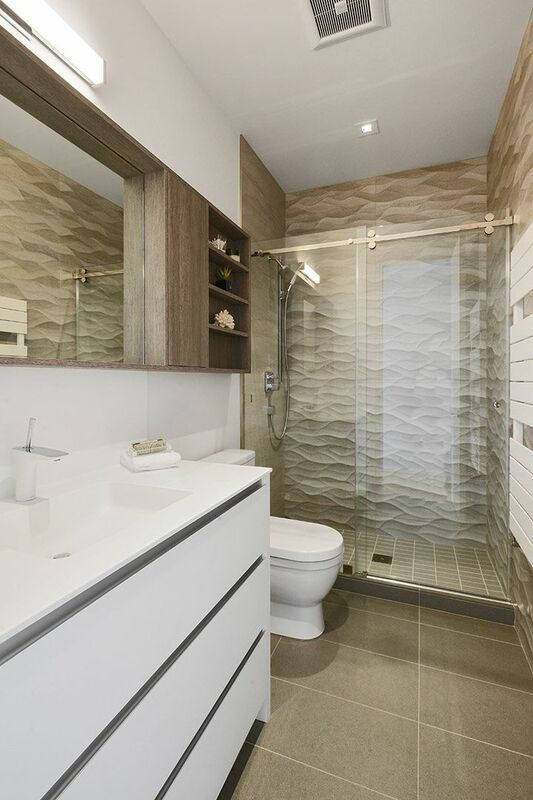 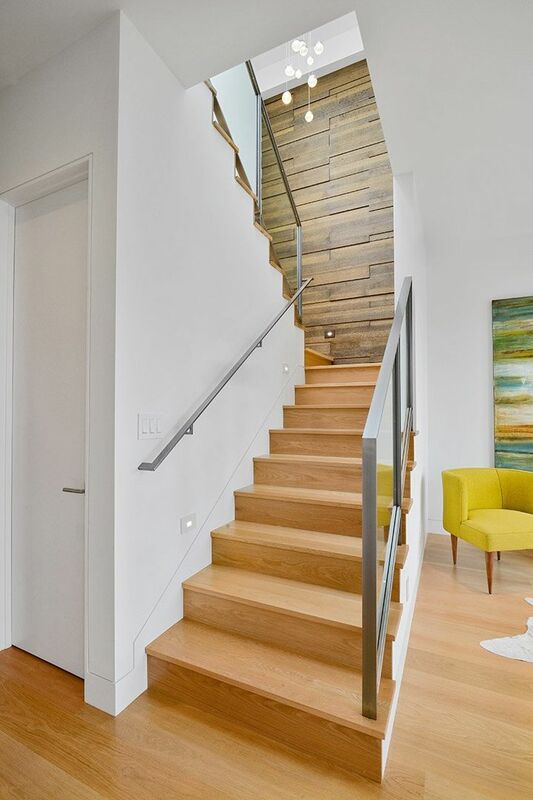 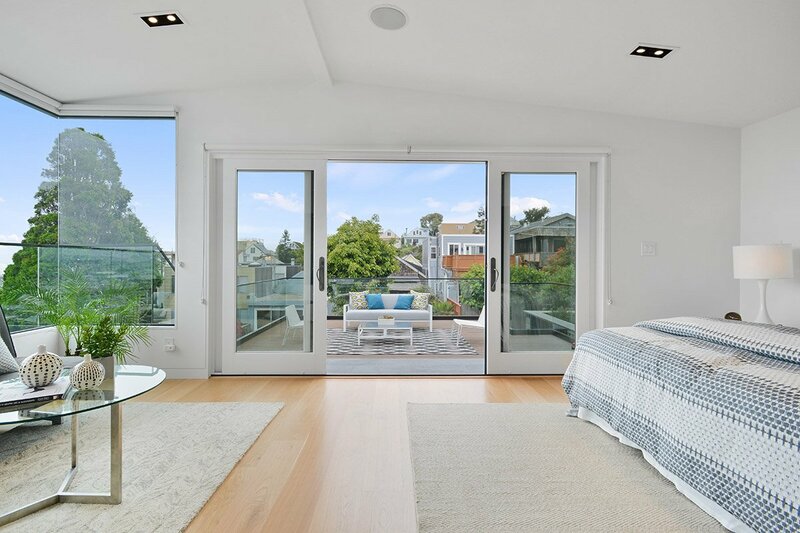 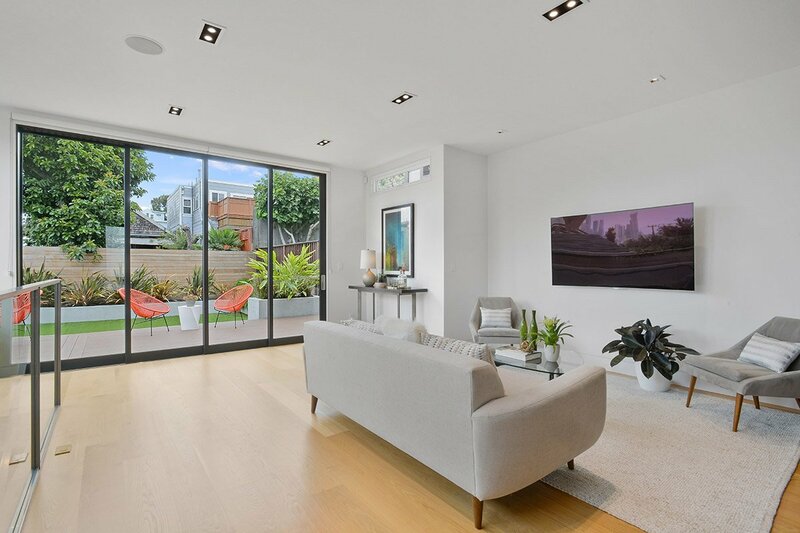 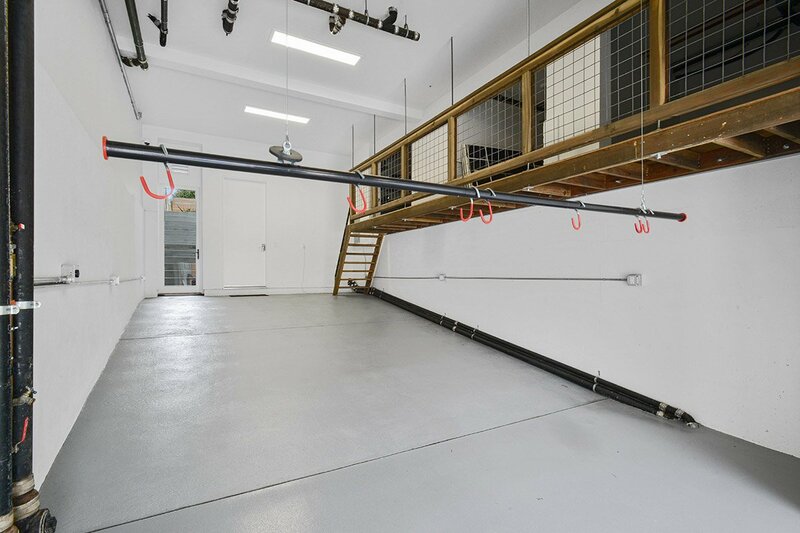 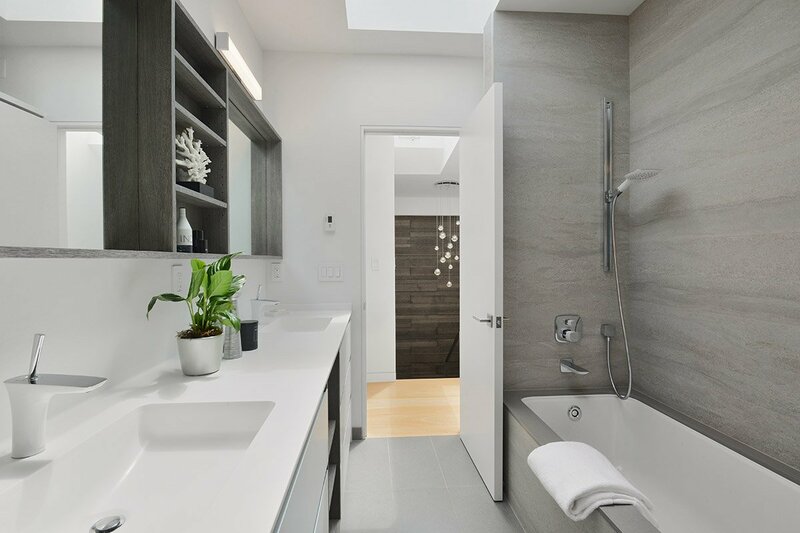 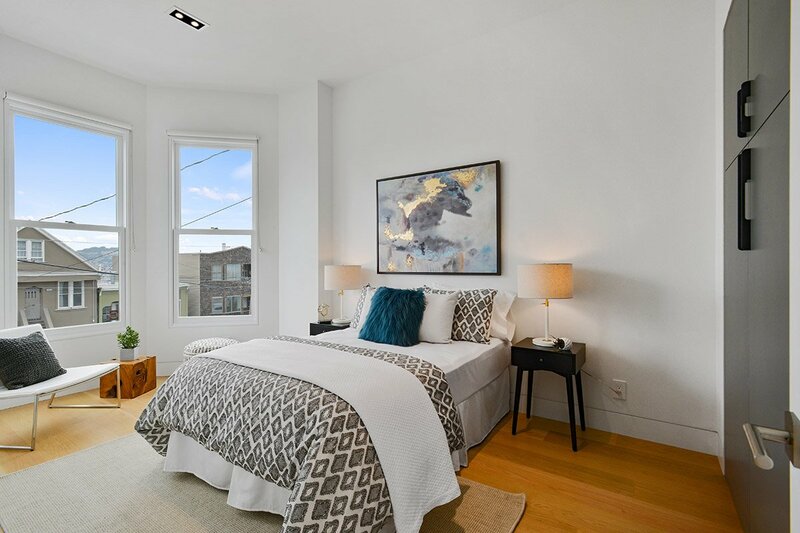 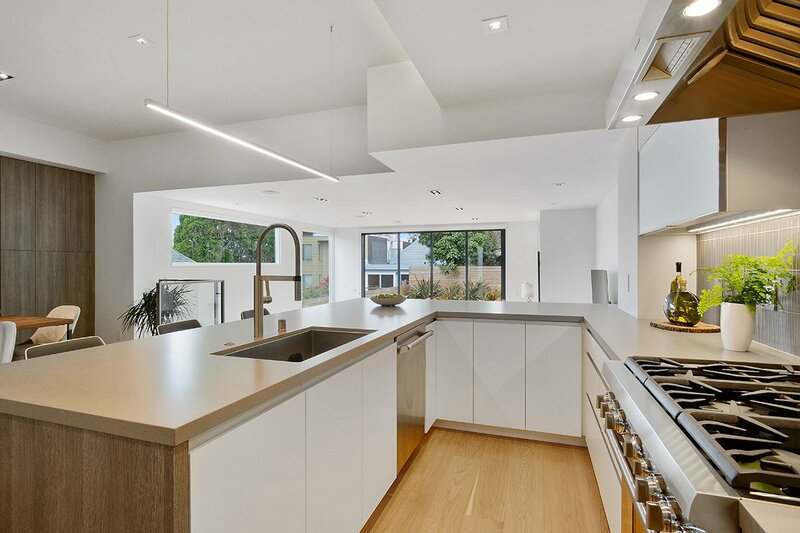 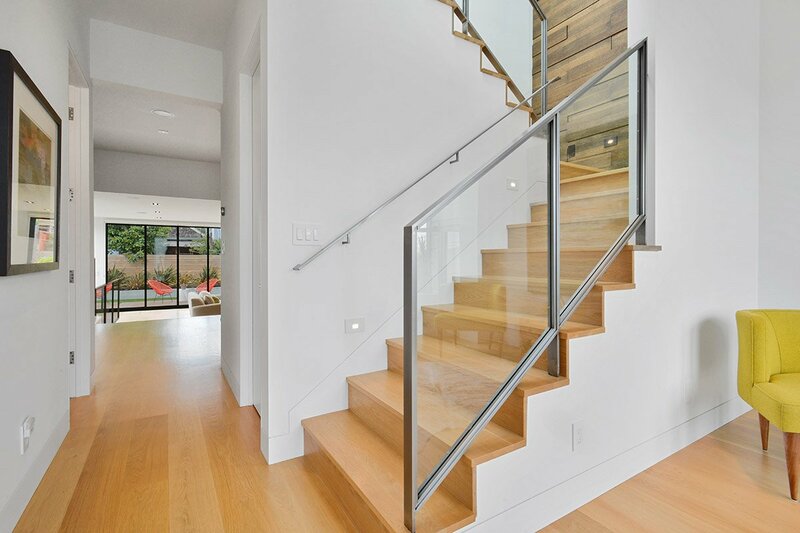 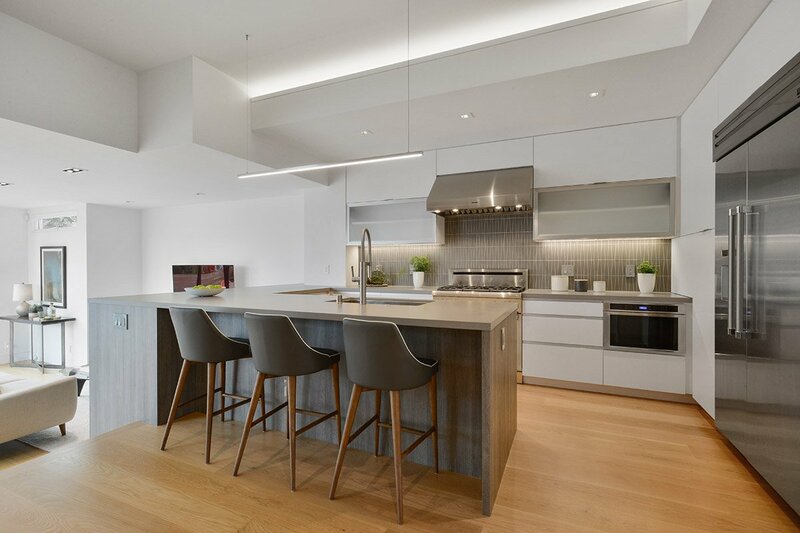 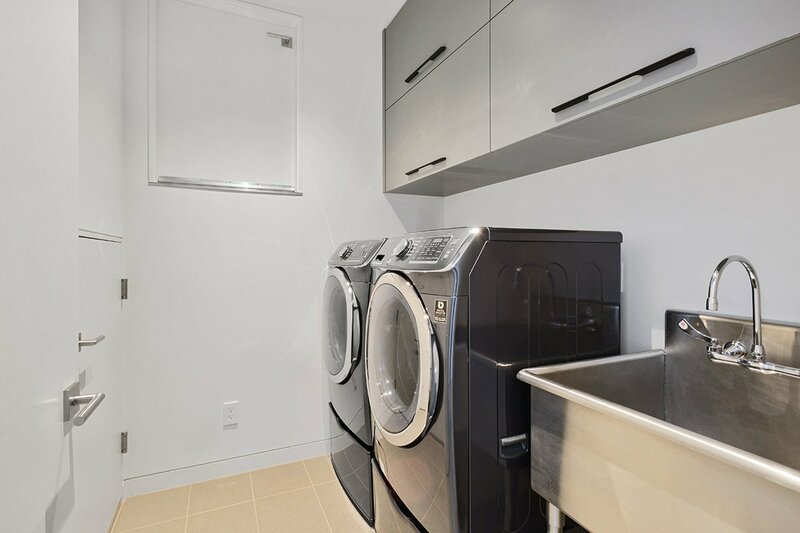 Located in a desirable residential pocket of Potrero Hill, this thoughtfully-designed smart home is enhanced with high-tech functions throughout and includes a lower level, two-car garage with a car charger, organized storage space, mudroom and laundry. 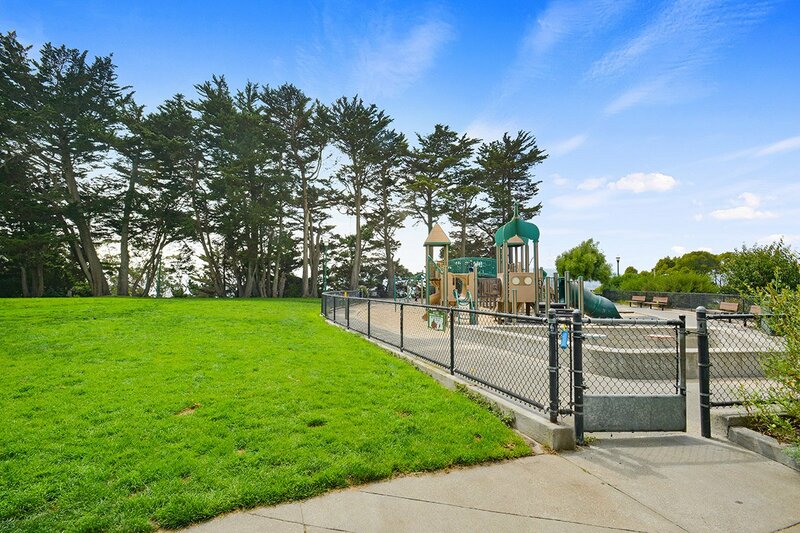 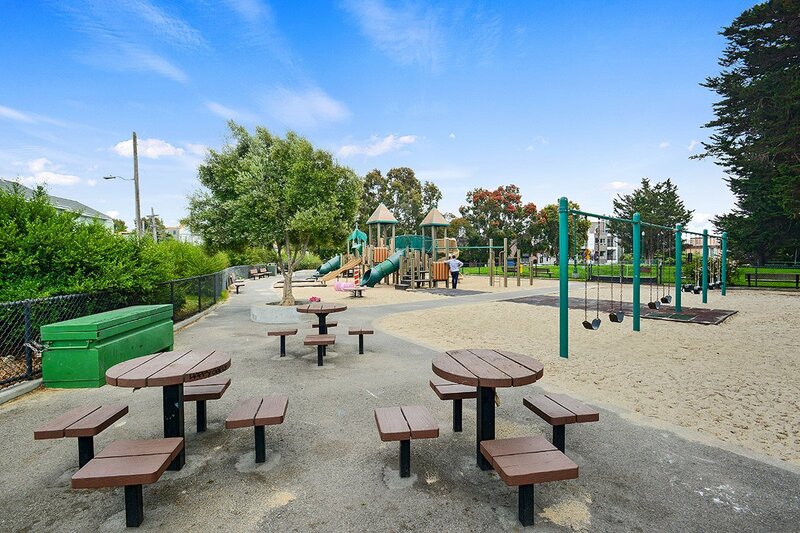 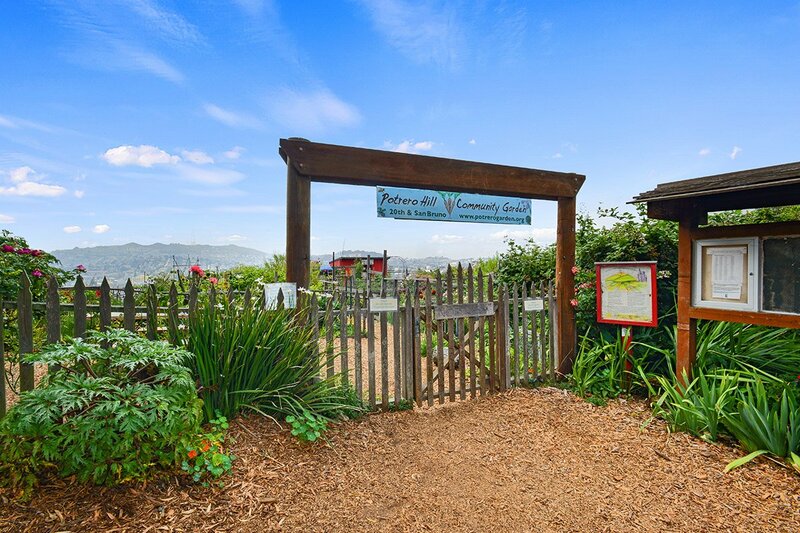 Conveniently located within walking distance to the neighborhood’s renowned shopping and dining thoroughfares, the beautiful green space of McKinley Square, and the Inner Mission thriving restaurant scene, 721 San Bruno is also a commuter’s delight with the close proximity to the 101 & 280.